Little Vumbura is another of our very small camps. The camp accommodates ten guests on a wonderful island in the same region as its sister camp Vumbura in Botswana's Okavango Delta. The focus at Little Vumbura is slightly more on the water activities than at Vumbura as the camp is surrounded by water. This camp is also closer to the permanent waters of the big, fast flowing rivers. However game viewing by vehicle is very much one of the highlights. Little Vumbura has five tents under an enormous canopy of ancient Okavango forest with ebony, marula, knobthorn, garcinia and fig being the dominant trees. Attractive palms give the island a wonderful tropical feel and bring the Elephants onto the island, especially towards the end of winter. Each tent is large and roomy and has en suite facilities, as well as an outside shower for those who want to be even closer to nature. The dining room and pub are under canvas and have been built in and around the existing trees. There is a pool for relaxing by in the quiet of the day. Little Vumbura has both the wetland and savannah species of wildlife ~ Red Lechwe, Waterbuck, Hippos, Crocodiles, as well as Sable, Kudu, Wildebeest and Tsessebe, who roam the open plains. On game drives we often see more Sable than we do Impala. 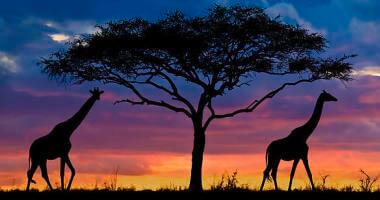 Herds of Buffalo and Elephant occur here, along with the predators ~ Lion, Leopard, Wild Dog and Cheetah. Guests who enjoy their birding will love the combination of all the Okavango water "specials" with acacia and dry woodland species. Like Vumbura, this camp offers the full house of activities in boats, mekoros, walks, drives and fishing. 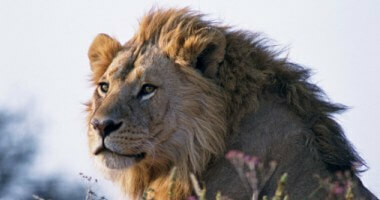 Game drives are conducted in open 4x4 Land Rovers with experienced guides. Night drives are possible nearly all year, but may be restricted for a few months in the middle of each year if we have extremely high flood levels. The variety of wildlife here is stunning. Guests can go out by boat in the morning and see Hippos, Crocodiles, Red Lechwe and all the aquatic wildlife ~ and then travel out by Land Rover in the afternoon to see Elephant, Sable and all the dry savannah game. The camp is part of the same community participation plan as Duba Plains. 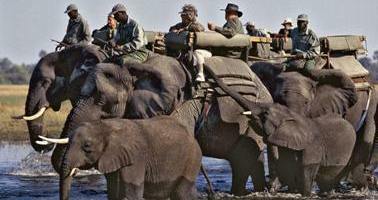 The aim is to bring the communities, who live around the Okavango Delta, into the Tourism mainstream. 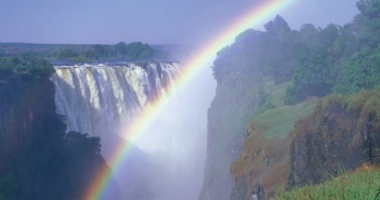 The villagers who live to the north of the Okavango have been granted the rights to this area, allowing them to derive direct benefits from the wildlife through significant concession fees, employment opportunities and training.